The steady, low hum of buses leaving the city punctuates the night at Koyambedu, a commercial hub in Chennai. A few shops remain open for the odd patron while others are firmly shut. Under the golden yellow of the street lights, a rhythmic swoosh of bamboo against tar grows in the dark. Three women, bent at work, are leaving a pristine path in their wake, a trail they have cleaned for the last seven years. Armed with a rickety tricycle, an old aluminium basket, two brooms and reflector vests, this motley crew makes singara Chennai. 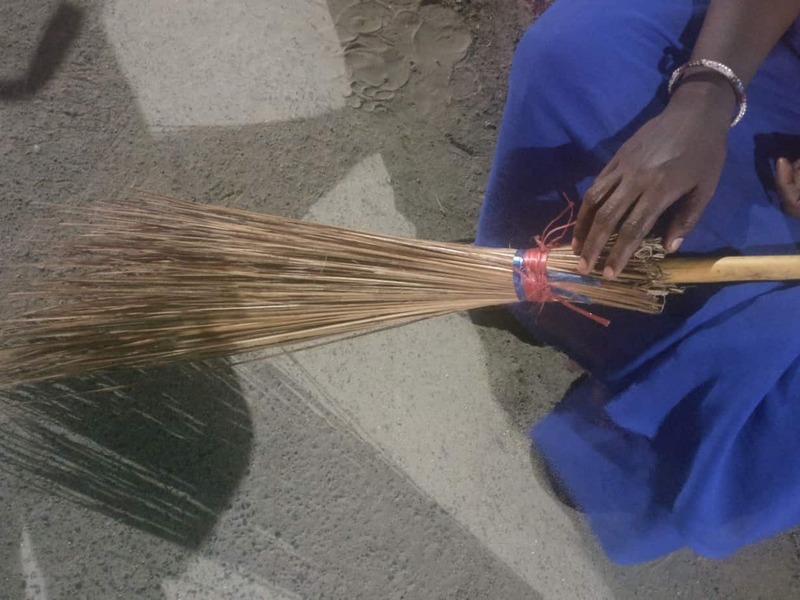 The women work meticulously, one pushes the tricycle, while the others use the bamboo brooms, short and long, to sweep up the dust and litter off the road. None are young and each tells her gritty story as they toil. “I did not have to work until a few years ago,” said Shanthi, 49, whose husband, a mason, went into debt paying for their daughter’s wedding. He fell ill, and soon after Shanthi had to seek work. Life took an even grimmer turn after their daughter’s husband committed suicide within six months of marriage. 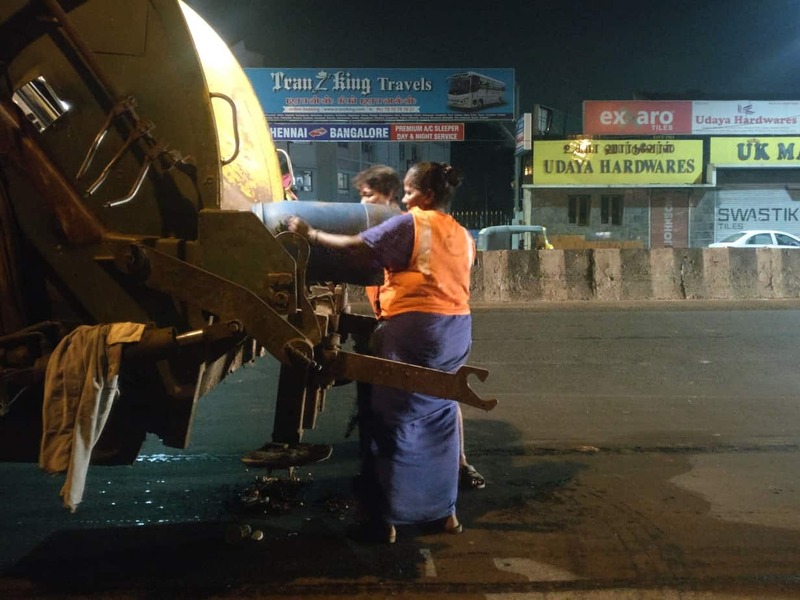 With a daughter and grandson now living under same roof, she took up the job of a nightly street sweeper under a private contractor in the city. 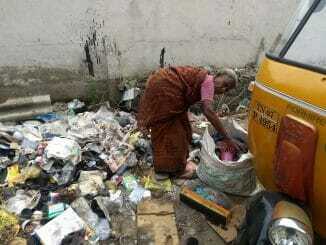 Sasikala, 55, ran a tiffin stall out of her home. When business shut down due to poor sales and rising costs, she turned to the first job that came her way. Devi, 32, quit work at a steel factory because the unsafe working conditions brought with it many respiratory ailments. Now, as city cleaners — a cog in the poorly managed solid waste ecosystem – their woes haven’t vanished—they just are different. 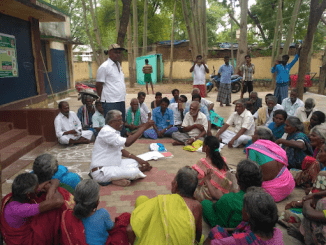 The sanitation workers get paid Rs 6000 per month after deductions which is well below the prescribed minimum wage of Rs 13000 as per the 2017 notification issued by the Tamil Nadu state government. While the corporation of Chennai lists 11,184 workers on its payroll, the private contractor did not disclose a number when contacted. With gaps in data comes a lack of accountability. 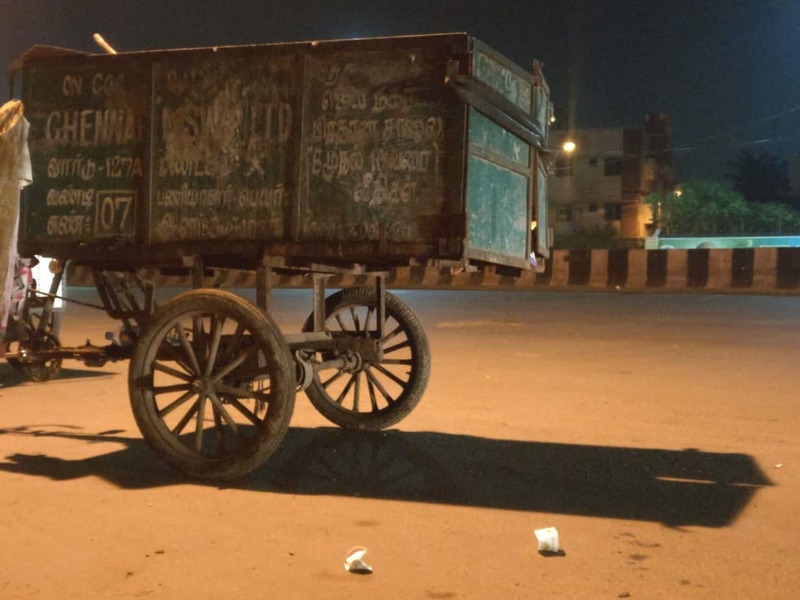 Sanitation workers in the city have a high risk of contracting various communicable diseases due to handling of waste, most of the time with their bare hands. A study conducted by Roopa Srinivasan found a high instance of respiratory ailments among waste workers in the city vis-a-vis those engaged in other occupations. The three women says they have been fortunate not to have suffered any serious ailments as a result of their jobs. “We get mandatory injections once a year to prevent any infections. The contractor takes care of that expense,” says Sasikala. Shanthi, Devi and Sasikala are perhaps the only women in the area who are out past midnight. They get friendly waves from some of the men they pass by and exchange pleasantries. “They are just looking out for us. We know everyone in this area as they see us work every day”. They move the tricycle towards bins on the side of street to unload the waste. Devi, the taller of the three workers, scoops the mixture of food, plastic and dust from the street in the aluminium basket and transfers it in swift motions as the others watch on. Her pace slows after the seventh time of unloading waste. It takes twenty minutes and countless scoops for the tricycle to be emptied. It takes the women close to three hours to fill the tricycle once again. They make a quick pit stop at a hotel that is still open. The proprietor brings bins of waste to the women who flag down a passing garbage truck to dump them. After bringing out his garbage, the hotel worker gives the women a tray stacked with snacks that went unsold at his hotel that night. The women divide the different kinds of vadas between them, packing them in plastic bags that they hand by the side of the tricycle. Nothing is said of this exchange. Between bites of the cold leftovers the women discuss their employer’s decision to downsize in the coming months. With the termination of the contract with the city, to manage waste in three zones, the private contractor is set to let go of majority of the workforce, mostly women, all over the age of 50. As hours pass, the tricycle can barely hold the litter from the day. The women gather three such loads each day so the city can wake up to palatable surroundings. They pass another row of shops, turning left, onto another winding road. Greeted by more litter, the seemingly endless swoosh of the broom resumes. In view of the upcoming plastic ban in the city, environmentalist P Natarajan explains the role of the government, NGOs and the people in ensuring successful implementation and the steps to be taken. Once flourishing, Guindy Estate is now the last place you’d want to be in. Why? What was once reason for Chennai’s pride, the estate developed around a cluster of small scale industries, has seen a sharp fall from grace, thanks to pathetic civic infrastructure. A look at the sorry state of affairs in the Guindy Industrial Estate today. Yes, indeed. The heroes and heroines of the Municipal bodies all over the country are the sweepers who work against overwhelming odds in trying to keep their cities and towns clean and hygienic to the best extent possible. Hats off to all of them for their work on 24x7x52 basis throughout the year ! All citizens should take up their cause for making their work safe, easy and hygienic by seeking their employing municipal bodies to provide them with gloves, nose guards, aprons, efficient tools, barrows, periodical medical checkups, incentives for source segregation, segregated dumping/clearance and a share in the disposal of wastes to recycling agencies. From a traditionally shunned profession reserved for a hereditary part of the population, the work should be honoured for their global environmental contribution and helped to bridge the social divide to become respected part of our society. Thanks to these ‘highway queens’ Chennai is very much cleaner than what it was years back. This is in stark contrast to streets of Bengaluru That was in 70s, 80s and 90s. Latest trend in Bengaluru is to carry garbage while going out it may be to office, shopping or even while carrying items of sanctity or offerings to temple. 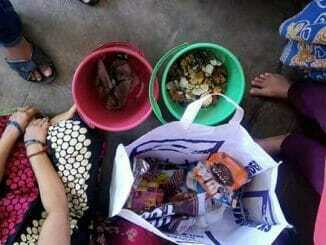 Such people spread infection and should be heavily fined and kept in custody for a while. I have seen this new trend in Bengaluru and they are behind eyesore dumping sites of garbage on roads etc.